Bluegrass in Belgium sends the sad news that banjo- and guitar-player Guy 'Le Strobbe' Stroobant lost his Bacon & Day Silver Bell 5-string banjo yesterday when it was stolen at the Grain d'Orge in Brussels, where he and his band had been playing. 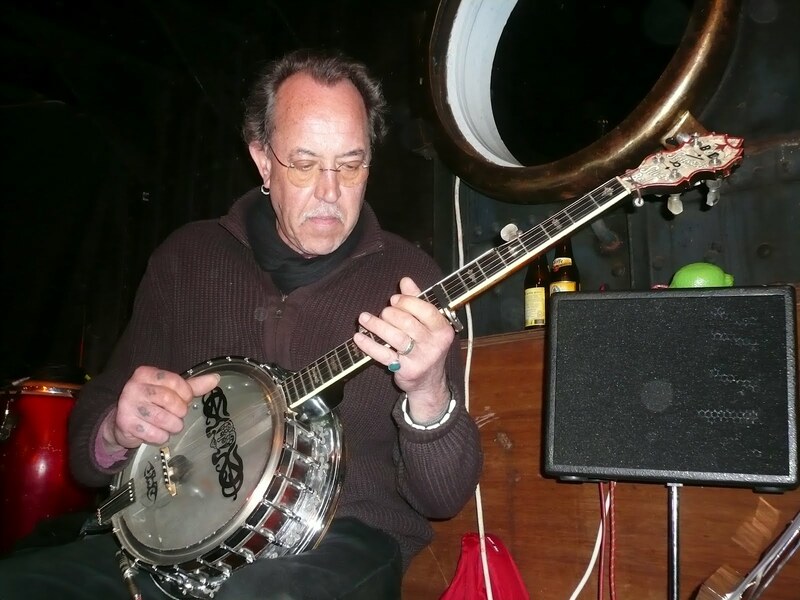 The banjo - his professional equipment and his sole treasure - has belonged to him since 1968. Guy, who learned how to play it from the late Derroll Adams (1925-2000), can be seen playing the Silver Bell in several videos on YouTube. He is devastated by its loss. Musicians and lovers of music and instruments are asked to spread the news and keep their eyes open, everywhere where such an instrument may be found or offered for sale.